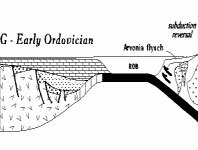 This 16-page history is a summary of the geological evolution of Virginia. 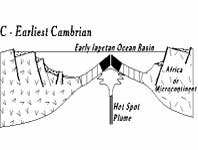 Additionally, we try to reconstruct what Virginia may have been like in the past, what sort of environments were dominant, and what the climate was like during each of the stages. 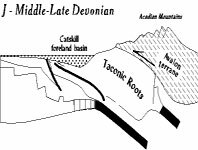 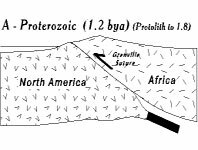 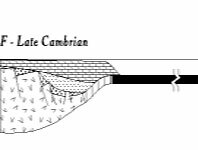 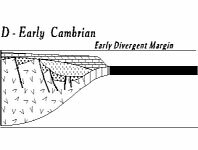 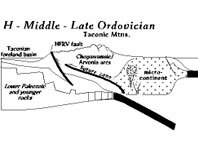 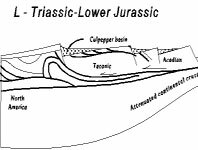 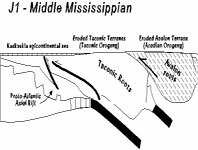 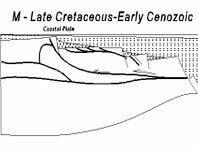 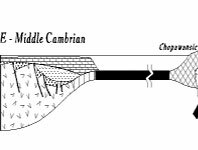 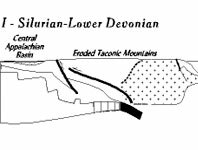 Theoretically the simplest model for Virginia's geologic history is the Wilson Cycle: the opening and closing of an ocean basin. 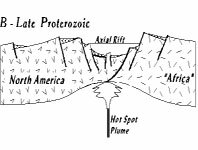 This cycle is implicit in the pages to follow, but is not dealt with directly. 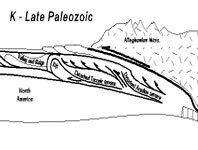 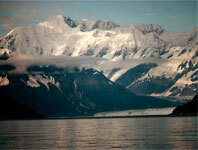 To get a quick review of the Wilson Cycle go here.